'We are Konspiracy Games. our team consists of 2 Developers, 2 Designers, 1 Writer and 1 Musician. We are spread around the world, in Hong Kong, Frankfurt, New York and Los Angeles. What is your game all about? What is your vision for this game? What do you hope people will like about it? 'When I talked to friends who played MMOGs, I asked them: “What did you do ?” and instead of telling me of the stories that were narrated in the game, they said: “I was questing”. So all this invested time wasn’t about the epic stories that were written for them, but a repetitive means to an end. Almost a bit like work. So it’s exactly these “ends” that we will provide, that intrinsic motivation that makes mining stones for your next building project in Minecraft not the same kind of grind as doing a chain of fetch-quests in a MMOG. From what we’ve seen during the last years, the gaming community wants to play fun games with meaningful coherent gameplay instead of leveling and grinding, so we are working to do that among other special things. 'We have different music concepts for the game that we want to try, for us music is in a way part of the emotional setup of a situation, therefore an integral part the environment and mechanics. One of the things we want to try is to use music to introduce a change of gameplay situations. So that the music changes based on amount of players, monsters and kills in the area. What do you think of game music generally? 'Game music is really essential for the whole feeling of the game. Do you have any favourite game music styles or composers? When will your game be released and how can we get it? 'We will release a demo of the combat-system soon, because the real-time combat was the technologically most difficult part, that we now have under control and are confident to go on. to keep up to date with Blossom and Decay and to stay connected with the Konspiracy Games team, follow them @KonspiracyGames, or find them on Facebook and Youtube. From the author Ninichi: If you enjoyed this interview article and are looking for music for your game or project, I'd love to get involved. Learn more about me and listen to some of my game music. 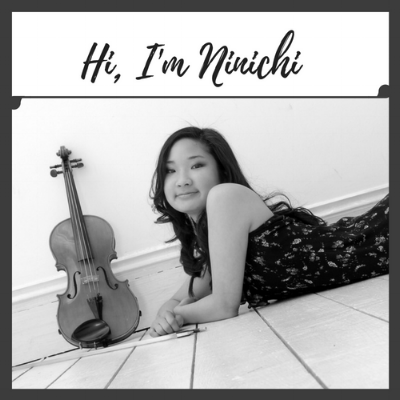 If you have a game or film that you'd like featured on Ninichi's music blog, feel free to contact me and tell me about your game or film.